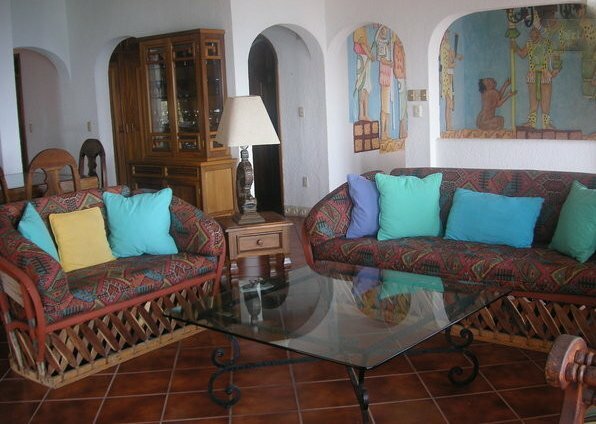 Casa Maya is a wonderful 3 bedroom home exchange, 2.5 bath villa in a community of 42 homes. 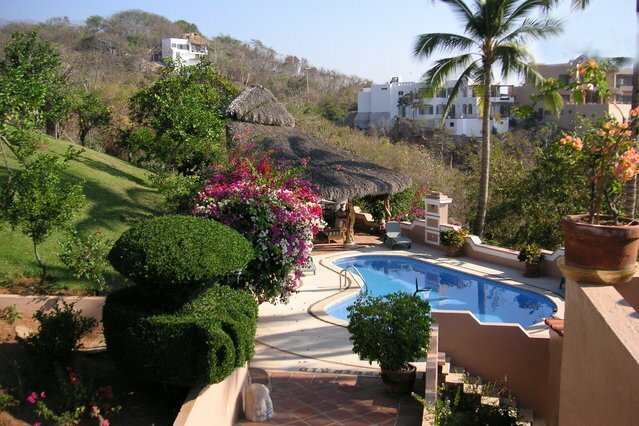 Perched on a hill, Casa Maya has incredible views of the Pacific Ocean and Santiago Bay. A 20 minute walk brings you to miles of sandy beach where you'll find many great restaurants and artisans selling their wares. 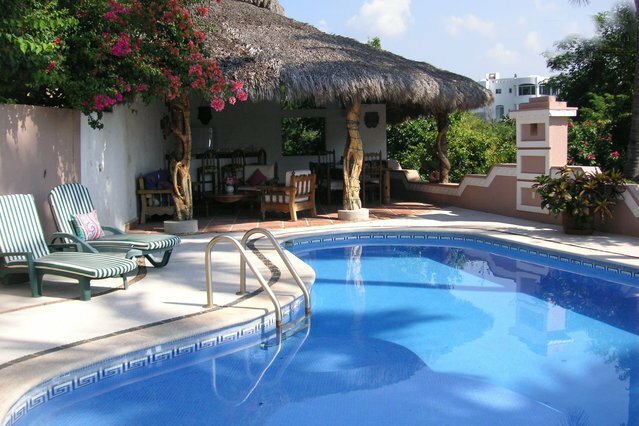 The pool is stunning with a huge palapa area for entertaining and outdoor dining. There's lots to do and see in close proximity to our area. Our home swap has a fully equipped kitchen, washer and dryer as well as internet and cable TV. 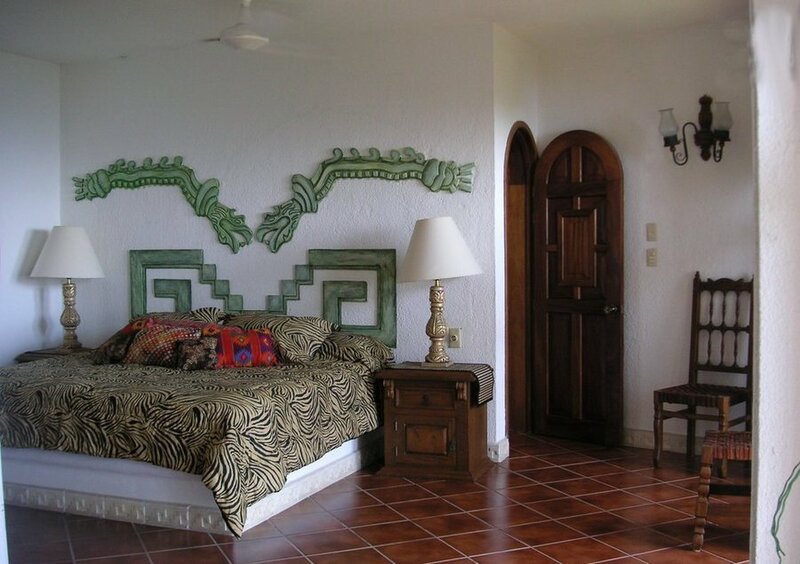 Casa Maya is located on the upper part of the Juluapan Peninsula and is about 20 minutes south of the Manzanillo Airport. Our closest small town is Santiago, an authentic Mexican pueblo with very little US influence, and is about a 15 minute drive from the house. There's a central market, lots of little hole in the wall local places to eat and a few little gift shops. 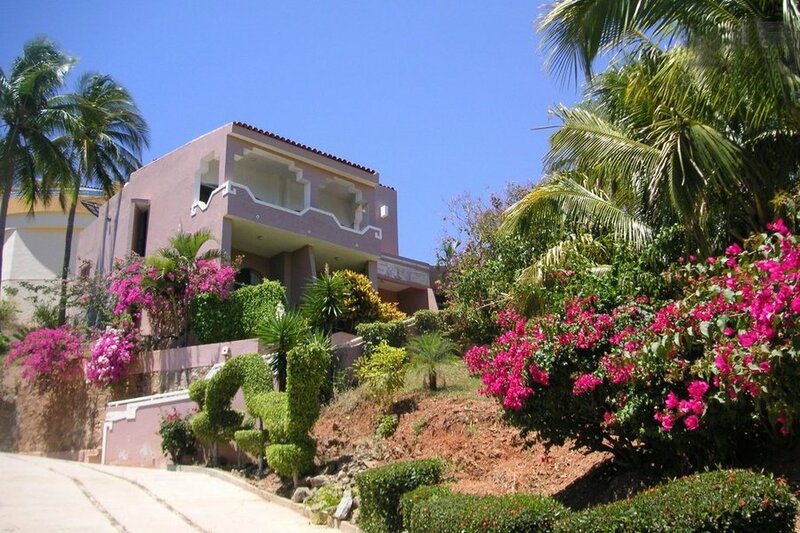 Downtown Manzanillo is about another 15 minutes away and is more bustling and boasts of the largest port in Mexico. Between the two, there are endless fabulous restaurants to choose from ranging from a $3 meal on up. Our local beach, Santiago Bay, is a 20 minute walk or 5 minute drive and is our favorite place to hang out. It's always festive and you can sit for hours drinking beer and eating fresh fish and taking an occasional dip in the ocean. Then, going North about 40 minutes, you'll come to Barra de Navidad, an extremely charming and a little more commercial small town on the ocean. There's lots of great places to eat and many places to shop for pottery, jewelry, tablecloths, clothing, hammocks, and many other treasures. If you're staying for more than a week, Guadalajara is about a four hour trip by car or bus (air-conditioned and very comfortable and only $35). There's so much to do and see in this area...museums, historical old town, incredible artisans, furniture, food,just to name a few. Colima, the capital, is a little over an hour away and is also filled with museums, historical colonial plazas, great food and more. 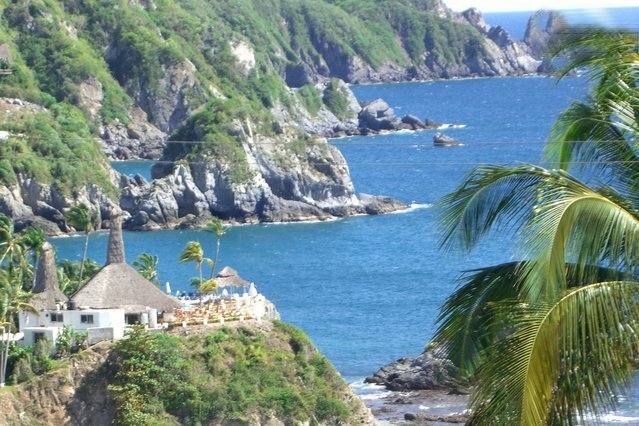 Manzanillo is considered the sailfish capital of the world so, of course, deep sea fishing is available in addition to snorkeling, parasailing and scuba diving. If you're a golfer, there are numerous courses in the area, two of them, world class. If tennis is your passion, there's at least three courts fairly close by.